SURE JOCKEY HOCKEY BIG CHANGES INDEED THE ABBOTT GOVERNMENT WILL BE VOTED OUT NEVER TO RETURN. critique in response to the Coalition’s pre-budget positioning. minister’s various pre-election statements on the aged pension. 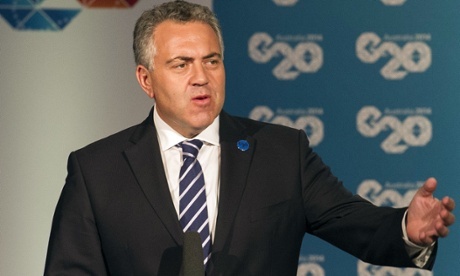 to make decisions at the next election,” the treasurer told the ABC. co-payments and means testing for transfer payments. but confirmed the government would apply a co-payment to GP’s visits. Medicare is growing at twice the speed of the economy,” he said. “We should celebrate the fact that we are living longer. finance minister, Tony Burke, rejected the government’s qualifications.